Apple Inc. achieved a victory over trademark battle involving famous “iPhone”. In a recent trademark opposition, case no. 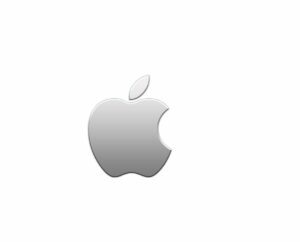 2017-900319, the Opposition Board of Japan Patent Office (JPO) decided in favor of Apple Inc. to cancel trademark registration no. 5967983 for word mark “PriPhone” due to a likelihood of confusion with Apple’s famous “iPhone”. Opposed mark “PriPhone” was filed by a Japanese business entity on December 26, 2016 by designating the goods of “mobile phones; smart phones; downloadable image and music files; telecommunication machines and apparatus; electronics machines, apparatus and their parts” in class 9. The JPO admitted registration on July 28, 2017 and published for registration on August 22, 2017. To oppose the registration, Apple Inc. filed an opposition against “PriPhone” on October 20, 2017. In the opposition brief, Apple Inc. asserted the opposed mark shall be cancelled in violation of Article 4(1)(xv) of the Japan Trademark Law given a remarkable reputation of opponent mark “iPhone” since nearly a quarter of Japanese have favorably used iPhone as a personal device to connect with internet. Apple argued the opposed registrant knowingly included famous “iPhone” trademark on the ground that the company promotes protective cases, covers for iPhone. Article 4(1)(xv) provides that a mark shall not be registered where it is likely to cause confusion with other business entity’s well-known goods or services, to the benefit of brand owner and consumers. Theoretically, Article 4(1)(xv) is applicable to the case where both marks are dissimilar, but likely to cause confusion among relevant consumers because of a related impression attributable to reputation of the well-known mark. The Opposition Board admitted a remarkable degree of reputation and popularity of opponent trademark “iPhone” among general consumers which occupies the highest share (54.1% in 2012) of the smart phone market for past five years consecutively. In the assessment of mark similarity, the Board found “PriPhone” would be perceived containing “iPhone” in the mark, provided that “iPhone”, as a coined word, is deemed a unique and famous trademark. 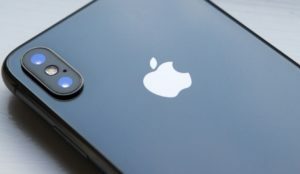 Besides, in view of close connection between smart phones and the goods in question, similarity with respect to consumers, it is undeniable that relevant consumers with an ordinary care are likely to conceive “iPhone” from opposed mark when used on goods in question. Based on the foregoing, the Board decided that relevant consumers are likely to confuse or misconceive a source of the opposed mark with Apple Inc. or any entity systematically or economically connected with the opponent. Posted on 2018年10月19日 by Masaki MIKAMI in alphabetical name, Article 4(1)(xv), Composite mark, Famous mark, Likelihood of confusion, Opposition, Similarity of mark and tagged Apple Inc, Article 4(1)(xv), iPhone, Likelihood of confusion, PriPhone, trademark opposition. The IP High Court ruled on September 26, 2018 to totally cancel TM Reg. No. 1809362 for the mark “TOP-SIDER” on the ground that use of the registered mark by licensee is likely to cause confusion with goods from a business entity other than trademark owner. Registered mark in question, consisting of the word “TOP-SIDER” written in plain Gothic font (see below), was registered in 1985 over the goods of clothing, coats, shirts and others in class 25 and has been validly renewed over three decades . Mizujin Co., Ltd, a non-exclusive licensee of the registered mark in question, used “TOP-SIDER” logo on T-shirts (see below). 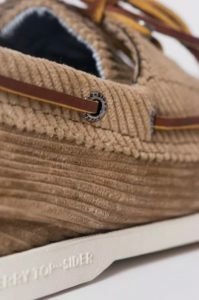 Sperry Top-Sider LLC, a US business entity, famous for “Sperry Top-Sider” deck shoes, filed a cancellation trial against the registration based on Article 53 of the Japan Trademark Law and argued that above use by Mizujin shall be inappropriate since it is likely to cause confusion with “Sperry Top-Sider”. JPO sided with Sperry and decided to entirely cancel the registration. To contend, trademark owner appealed to the IP High Court and alleged cancellation of the decision. Article 53 of the Trademark Law provides that trademark right is subject to cancellation if use of the mark by licensee causes confusion with respect to another’s business and trademark owner is liable for failure to supervise with an ordinary care. Apparently from totality of the circumstances, trademark owner must have noticed above use by Mizujin. ”TOP-SIDER” logo contains figurative elements to be seen as cloud and yacht, and looks quite similar to the Sperry mark. “Sperry Top-Sider” logo has become well-known for Sperry’s deck shoes among traders and general consumers. Since T-shirts and shoes are offered for sale to wear at same apparel shops, they are closely related with each other in view of sales channel as well as consumers. Thus, the Court finds that above use by licensee is likely to cause confusion with respect to Sperry business on deck shoes. It is noteworthy that trademark owner is entitled to grant a licensee the right to use registered mark, however, by doing so , it enhances a risk to lose trademark right if he is careless to supervise the licensee’s inappropriate use and cause confusion. Posted on 2018年10月13日 by Masaki MIKAMI in Article 53, Cancellation trial, Famous mark, IP High Court, Likelihood of confusion, Similarity of mark and tagged Article 53, Cancellation trial, Inappropriate use, IP High Court, TOP-SIDER. The Japan Patent Office dismissed a trademark opposition claimed by the U.S. tech giant, Apple Inc. against trademark registration no. 5987344 for word mark “SMAPPLE” in class 9 and 37 by finding less likelihood of confusion with Apple. Opposed mark “SMAPPLE” was filed by a Japanese business entity on March 13, 2017 by designating mobile phones in class 9 and repair or maintenance service of mobile phones in class 37. Going through substantive examination, the JPO admitted registration on September 15, 2017 and published for registration on November 7, 2017. To oppose against registration, Apple Inc. filed an opposition on January 5, 2018. 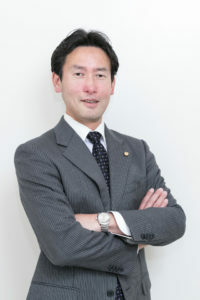 In the opposition brief, Apple Inc. asserted the opposed mark shall be cancelled in violation of Article 4(1)(xv) of the Japan Trademark Law given a remarkable reputation of opponent mark “APPLE” in the business field of computers, smart phones, tablets, and any related business. Apple argued the first two letters of “SM” is descriptive in connection with repair and maintenance service since it is conceived as an abbreviation of “service mark”, to my surprise. In addition, as long as the term “SMAPPLE” is not a dictionary word, relevant consumers at the sight of the term are likely to consider that the opposed mark consists of “SM” and “APPLE”. The Opposition Board admitted a remarkable degree of reputation and popularity of opponent trademark “Apple” in the business field to manufacture and distribute computers, smart phones, audio devices and mobiles phones etc., however, gave a negative view in relation to repair or maintenance service of mobile phones by taking account of insufficient evidences Apple Inc. produced to the Board. Besides, in the assessment of mark similarity, the Board found “SMAPPLE” and “Apple” are totally dissimilar since they are sufficiently distinguishable in visual, phonetic, and conceptual point of view. The Board also questioned Apple’s argument the first two letters of “SM” does imply a meaning of service mark. If so, it is not permissible to separate a element of “APPLE” from the opposed mark. The mark shall be compared in its entirety. As long as “APPLE” is a familiar English term among relevant public to mean a round fruit with red or green skin and a whitish inside, the term shall not be deemed a coined word. Based on the foregoing, the Board decided that relevant consumers are unlikely to confuse or misconceive a source of the opposed mark with Apple Inc. or any entity systematically or economically connected with the opponent. I feel the opposed mark rather gives rise to a connotation of “smart apple”, than “service mark” and “apple”. “Service mark” is not commonly used in our daily life unless he or she has a knowledge of IP law (LOL). Posted on 2018年10月6日 by Masaki MIKAMI in alphabetical name, Article 4(1)(xv), Famous mark, Likelihood of confusion, Opposition and tagged Apple, Apple Inc, Article 4(1)(xv), Likelihood of confusion, SMAPPLE, trademark opposition. The Appeal Board of Japan Patent Office (JPO) refused Trademark Application No. 2016-85559 for a device mark consisting of metallic rings on goods of metallic fishing nets in class 6 on the ground of conflict with Article 4(1)(vi) of the Japan Trademark Law. Mark in question ( see below) was filed on August 8, 2016 by designating goods of metallic fishing nets in class 6. The JPO examiner refused the mark by citing the Olympic Rings based on Article 4(1)(vi) of the Trademark Law. Article 4(1)(vi) is a provision to refuse any mark which is identical with, or similar to, a famous mark indicating the State, a local government, an agency thereof, a non-profit organization undertaking a business for public interest, or a non-profit enterprise undertaking a business for public interest. JPO trademark examination guidelines clearly refer to the Olympic Symbol as an example of the mark to indicate a non-profit business for public interest. The Olympic symbol, widely known throughout the world as the Olympic Rings, is the visual ambassador of Olympism for billions of people. The Olympic Rings, publicly presented for the first time in 1913, remain a global representation of the Olympic movement and its activity. In an appeal, the Board sustained examiner’s refusal and decided the mark in question shall be refused on the same ground. 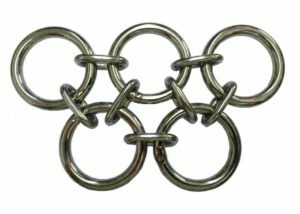 The Board stated that mark in question has same configuration with the Olympic Rings and thus consumers at the sight of the mark are likely to conceive a well-known Olympic symbol from appearance regardless of difference in small rings to connect five symbolic rings. 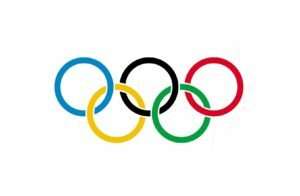 Posted on 2018年9月29日 by Masaki MIKAMI in Article 4(1)(vi), Device mark, Famous mark, Figurative mark and tagged Article 4(1)(vi), OLYMPIC, Olympic Rings, Olympic symbol, Trademark appeal. In a recent trademark decision, the Opposition Board of Japan Patent Office (JPO) dismissed an opposition against IR no. 1263679 filed by Rolex SA, Swiss manufacturer of luxurious watches, based on the iconic Rolex crown. Opposed mark, consisting of a crown device (see below), was filed in the name of PWT A/S, a Danish retailer of clothing, furnishings, and accessories for men, women, and children. The mark was filed to JPO through the Madrid Protocol (IR no. 1263679) with priority date of June 25, 2014 and admitted national registration on July 28, 2017 over the goods of “Toilet soaps, perfumery, essential oils, cosmetics, perfumed toilet preparations, preparations for cleaning, care and beauty cosmetics of the skin, scalp and hair, deodorizing preparations for personal use” in class 3, “Leather, boxes of leather or leather board, bags of leather for packaging” in class 18, and “Clothing, headgear” in class 25. During substantive examination, JPO examiner initially issued a refusal due to a conflict with senior registrations for the Rolex crown. However, the JPO withdrew the refusal as a result of PWT’s response to partially delete goods and argue dissimilarity of mark. 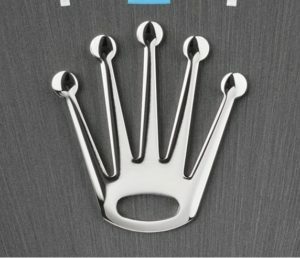 During a two-months opposition period after registration, Rolex SA filed an opposition, stating that relevant consumers are likely to confuse or misconceive opposed mark with Rolex or any business entity systematically or economically connected with Rolex because of high similarity to the iconic Rolex crown (see above) and close association between “watches” and the designated goods in class 3 and 25. Rolex SA sought to retroactively cancel opposed mark in relation to cosmetics and other goods designated under class 3 and clothing, headgear in class 25 based on Article 4(1)(xv) of the Japan Trademark Law. The Opposition Board did not question a remarkable degree of popularity and reputation of the ROLEX crown as a source indicator of opponent business. In the meantime, the Board considered both marks give rise to a different impression in the minds of relevant consumers from overall appearance and found that the degree of similarity of marks is relatively low irrespective of a common crown design with five points and its circle-shaped ends. Besides, the Board negated close association between watches and cosmetics, apparel to the extent that watches, a sort of precision instrument, are not ordinarily manufactured or distributed by same business entity with cosmetics and apparel. Based on the foregoing, the Board concluded that relevant consumers of goods in question are unlikely to confuse opposed mark with Rolex or any business entity systematically or economically connected with opponent. Thus, opposed mark is not subject to Article 4(1)(x), and valid as a status quo. Posted on 2018年9月22日 by Masaki MIKAMI in Article 4(1)(xv), Famous mark, Likelihood of confusion, Madrid Protocol, Opposition and tagged Article 4(1)(xv), Likelihood of confusion, Madrid Protocol, Rolex, Rolex crown, trademark opposition. 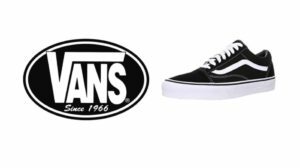 Posted on 2018年9月15日 by Masaki MIKAMI in alphabetical name, Article 4(1)(xi), Famous mark, IP High Court, Likelihood of confusion, Similarity of mark and tagged Article 4(1)(xi), IP High Court, trademark opposition, VAN Jacket, VANS, VANSNEAKER. In a recent administrative decision to trademark opposition filed by Facebook Incorporated., the Opposition Board of Japan Patent Office (JPO) declared cancellation of trademark registration no. 5927001 due to a likelihood of confusion with well-known Facebook “F” logo mark. Opposed mark (trademark registration no. 5927001) just consists of a term “fresh bank” provided that the initial “f” letter is neither depicted inside the blue rounded square, nor colored in white (see below). The mark was filed on August 5, 2016 by designating goods and services in class nos. 6, 11, 12, 39 and 42. Inter alia, class 42 covers services relating to computer software. During a two-months opposition period after registration, Facebook Incorporated, the world’s largest online social networking service company, filed an opposition, stating that relevant consumers are likely to confuse or misconceive opposed mark with Facebook or any business entity systematically or economically connected with Facebook due to high similarity between Facebook “F” logo (see below) and the initial “f” device of opposed mark. Facebook Inc. sought to retroactively cancel opposed mark in relation to computer software services in class 42 based on Article 4(1)(xv) of the Trademark Law. The Opposition Board admitted a high degree of popularity and reputation of Facebook “F” logo as a source indicator of opponent among general consumers. Besides, the Board pointed out that the initial “f” device would be eye-catching from overall configuration of opposed mark. 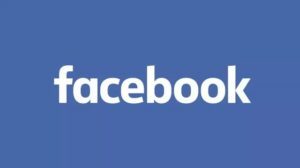 Since the “f” letter is depicted in blue round square and colored in white as well as Facebook “F” logo, opposed mark shall be considered closely similar as a whole by taking account of high reputation of Facebook. Based on the foregoing, the Board held that relevant consumers of computer software services are likely to pay attention to the initial “f” letter at the sight of opposed mark and associate it with opponent or any business entity systematically or economically connected with Facebook. Thus, opposed mark shall be cancelled in violation of Article 4(1)(xv) of the Trademark Law. Posted on 2018年7月28日 by Masaki MIKAMI in Article 4(1)(xv), Composite mark, Famous mark, Figurative mark, Likelihood of confusion, Opposition, Similarity of mark, similarity of service and tagged Article 4(1)(xv), f logo, facebook, famous mark, Likelihood of confusion, trademark opposition. In a trademark opposition between Toyota Motor Corporation (JAPAN) and Renault SAS (FRANCE), the Opposition Board of Japan Patent Office (JPO) dismissed the opposition against trademark registration no. 5932825 for word mark “WIGO”. Renault opposed to register the word mark “WIGO” designating automobiles in class 12 by Toyota based on Article 4(1)(xi), (xv) of the Trademark Law by citing his senior trademark registration no. 2710075 for Renault’s car brand “TWINGO”. 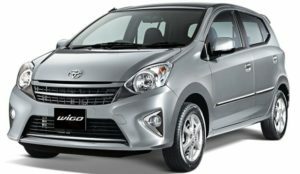 TOYOTA WIGO is mini hatchback from Toyota. RENAULT TWINGO is small city car from Renault. In assessing trademark similarity under Article 4(1)(xi), the Board considered opposed mark “WIGO” is deemed a coined word since it does not give rise to any specific meaning as well as “TWINGO”. Besides, both marks are evidently distinguishable in appearance and pronunciation. If so, the Board found that it is groundless to conclude “WIGO” is similar to “TWINGO” from visual, phonetic and conceptual aspect. Theoretically, Article 4(1)(xv) is applicable to the case where a mark in question is deemed dissimilar to well-known brand, but is still likely to cause confusion because of a high degree of popularity and reputation of the brand. 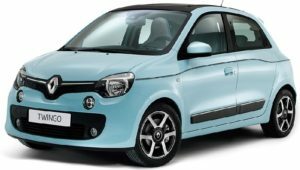 The Board concluded it remains unclear whether Renault TWINGO has become famous in automobiles from totality of the circumstances and evidence. Provided that TWINGO does not obtain remarkable reputation in relation to automobiles as a source indicator of Renault car, WIGO is unlikely to cause confusion with Renault TWINGO because both marks are considerably dissimilar. Posted on 2018年7月21日 by Masaki MIKAMI in alphabetical name, Article 4(1)(xi), Article 4(1)(xv), Famous mark, Likelihood of confusion, Opposition, Similarity of mark and tagged Article 4(1)(xi), Article 4(1)(xv), Likelihood of confusion, RENAULT, TOYOTA, trademark opposition, TWINGO, WIGO. 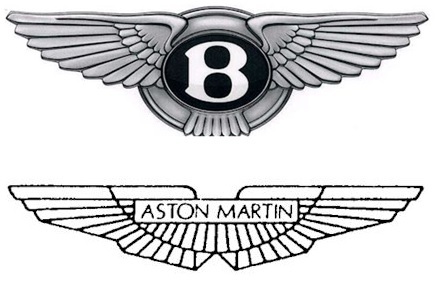 In a recent trademark decision regarding straight wings emblem on automobiles, the Opposition Board of Japan Patent Office (JPO) dismissed an opposition filed by BENTLEY MOTORS LIMITED and ASTON MARTIN LAGONDA LIMITED against trademark registration no. 5962270 for a combined mark consisting of “M78 86” and straight wings device due to unlikelihood of confusion. Disputed mark (see below) was applied for registration on December 8, 2016 by designating automobiles and other goods in class 12. Tsubuyara Productions CO., Ltd, a Japanese company, famous for the creator of Ultraman (Japanese Superhero) is a co-applicant of disputed mark. A month after the filing, during the Press Conference held at Tokyo Auto Salon 2017, Toyota’s new M78 x 86 concept car was unveiled. 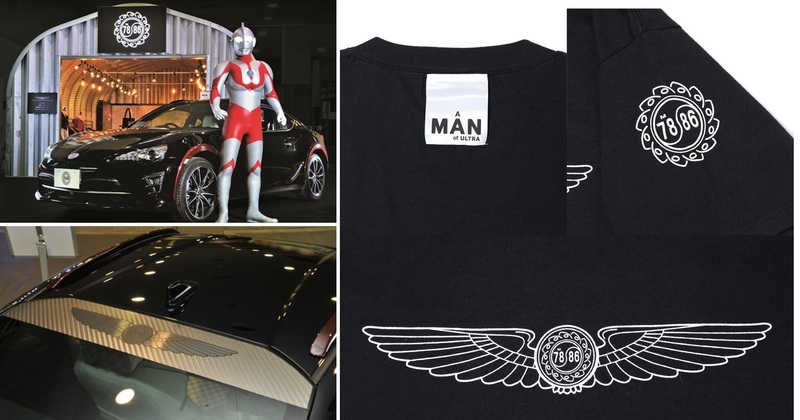 Toyota, as a car supplier collaborating with Ultraman, aimed to make people “feel like Ultraman”. “86” is a name for Toyota sports coupe. “M78” comes from Nebula M78, a home world of Ultraman, thirteen million light years away from the earth. Disputed mark was created to represent the collaboration between Toyota and Tsuburaya. JPO granted registration of the mark on July 7, 2017. 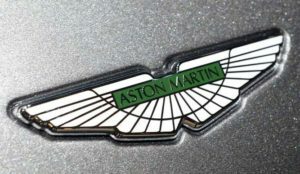 To oppose the mark, Bentley, the most sought after luxury car brand in the world, and Aston Martin, iconic luxury British sports car manufacturer, filed an opposition on the grounds that disputed mark is likely to cause confusion with opponents’ business due to close resemblance and famousness of opponent mark based on Article 4(1)(x), (xi), (xv), (xix) of the Trademark Law. The Opposition Board admitted a certain degree of popularity and reputation of Opponent emblem as a source indicator of opponent’s business among relevant consumers in the fields of automobiles, however, totally negated similarity of both marks from the perspective of appearance, pronunciation, and concept. Besides, finding that relevant consumers with an ordinary care would pay particular attention to the mark in procuring expensive goods, such as cars, the Board held that a mere graphical resemblance of straight wings is insufficient to find a likelihood of confusion since even opponents are co-existing in peace regardless of the similar straight wings. Based on the foregoing, the Board concluded that there is no likelihood of confusion between the marks and allowed the “M78 86” straight wings mark valid. Posted on 2018年7月8日 by Masaki MIKAMI in Article 4(1)(x), Article 4(1)(xi), Article 4(1)(xix), Article 4(1)(xv), composite, Composite mark, Famous mark, Likelihood of confusion, Opposition and tagged Article 4(1)(x), Article 4(1)(xv), Aston Martin, Bentley, Likelihood of confusion, M78, Straight wings, Toyota 86, Tsuburaya, Ultraman.